Better height/width ratio than Anvil. Used SS kettles before. Whats the pot lip diameter? BEST ANSWER: The interior diameter is 11"The lip itself is only 1/4". Overall diameter with lip is 11-1/2". Cheers!! Just measured, inside diameter at top of pot is 10 15/16". 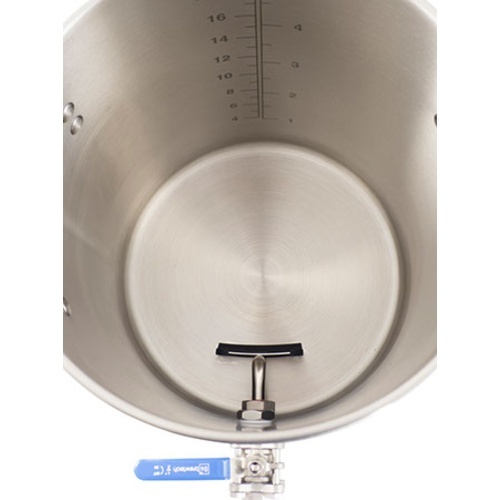 Outside diameter is 11 3/8"
Great brew kettle for indoor small batch brewing. I can do 3 gallon BIAB using an induction burner with ease. 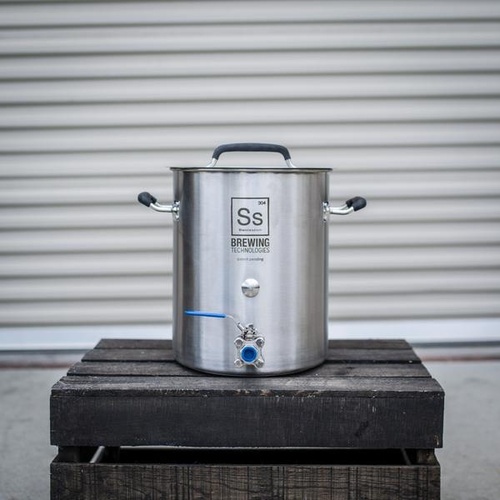 I do full size batches in another brand's kettle, however chose Ss for the 5.5 due to a the height/width ratio. 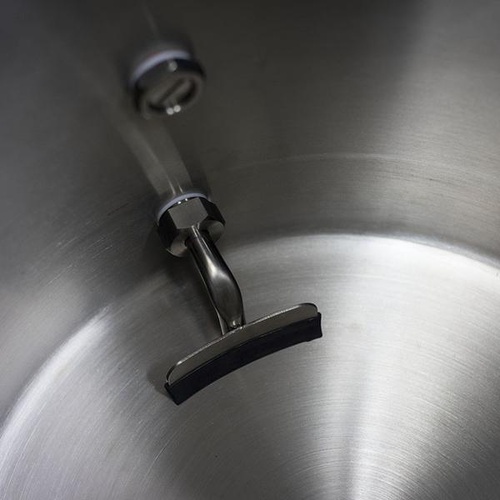 The kettle is good looking, distributes heat evenly and is thick enough to retain heat well. Great value. 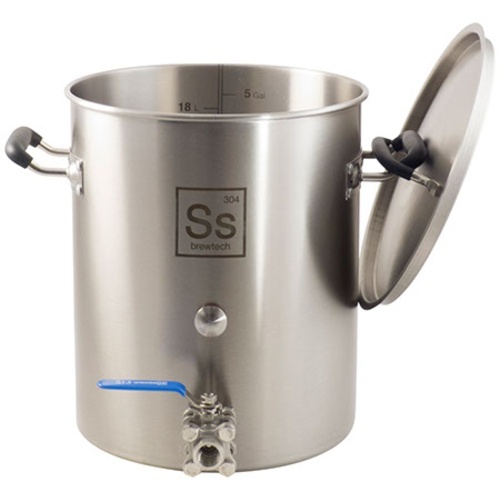 Nice for 3 gallon batches on induction in the winter time when I brew inside. I have a 20 gallon all grain setup, too. Flexibility is nice. No yeast starter needed, quick clean up, etc. 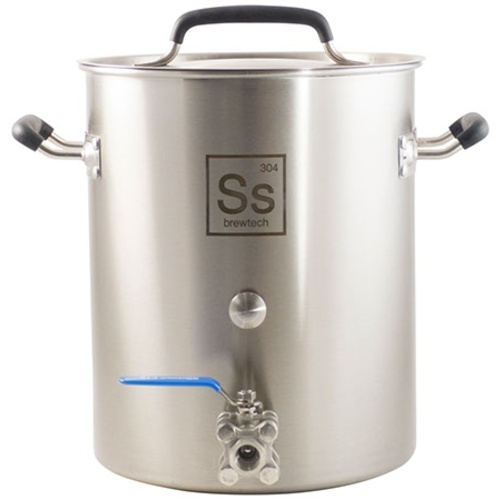 This is a solid kettle for smaller brews. In the last year I converted my home brewery to a 3 gallon Brew in a Bag setup. This kettle is the centerpiece. Having brewed a few batches on it now I cannot believe I did not make the switch sooner. Paired with an 1800 watt induction burner this kettle is perfect. The build quality is second to none, the volume markers are accurate, and being able to transfer via the ball valve makes the brew day nice and easy. 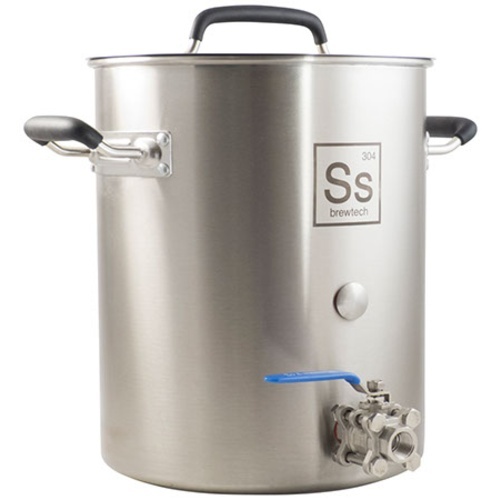 If you are wanting to brew all grain batches of 3 gallons or less, this is your kettle. Stop searching and just buy it. You won't regret it.